Featured recently in The Local Palate magazine and mentioned by Travel + Leisure, Fodor’s Travel and the UK’s Telegraph, Chef Wes Fulmer and his culinary team have led Motor Supply to garner all three major local readers’ choice awards in the Columbia, S.C., area for “Best Restaurant” in 2015-2016 (The State, Free Times and Columbia Metropolitan Magazine). In fact, the restaurant just won the Free Times' and The State’s 2017 "Best Restaurant" award again. In Spring 2017, Chef Fulmer was one of the featured chefs at Columbia’s first-ever James Beard Foundation benefit dinner. After honing his craft in the James Beard Award-winning kitchens of celebrity chefs (Restaurant August, New Orleans and Susanna Foo, Philadelphia), Chef Wesley Fulmer served as Sous Chef at the luxe Atlantic Room at the Kiawah Island Golf Resort. A Midlands native, Fulmer returned home in Spring 2014 armed with a network of sustainable farm contacts throughout the Lowcountry – and an eagerness to work with Motor Supply’s existing network of conscientious local producers in the Columbia, S.C. area. Born and raised in Prosperity, a small town near Chapin, S.C., Chef Fulmer’s first food memories were formed helping his grandfather barbeque whole hogs, and eating his grandmother’s award-winning pound cake. 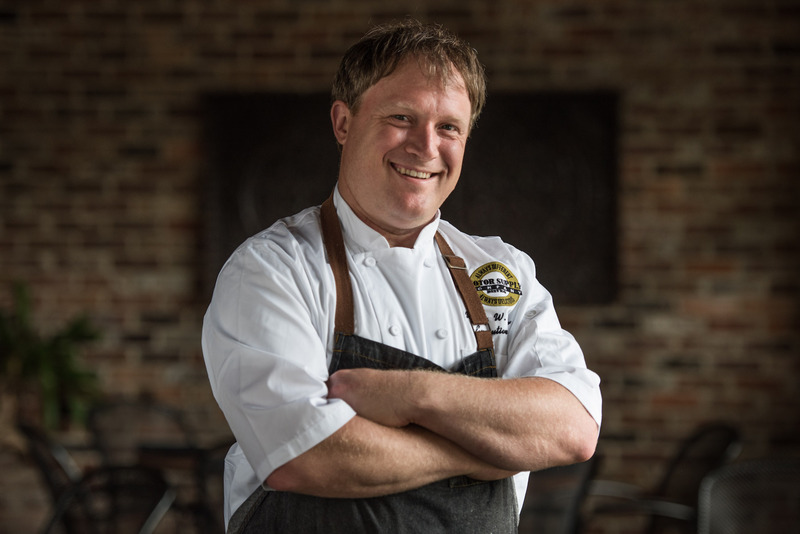 Chef Fulmer values fresh, local South Carolina ingredients and enjoys mixing traditional culinary processes with modern techniques like sous vide and fermentation. In Spring 2015, Chef Fulmer was honored to be selected as the sole chef for the South Carolina Department of Parks, Recreation & Tourism’s biannual media event in New York City, where tourism partners from across the state met with national editors and writers, enjoying Fulmer’s S.C-centric menu in a relaxed, cocktail party setting. In Fall 2015, Chef Fulmer was featured in an episode of Travel Channel UK television series, “Jeni and Olly’s Deep South Food Adventures,” which made a stop in Columbia, S.C. on its tour of the American South. The South Carolina episode – a partnership with Discover SC and the South Carolina Department of Parks, Recreation and Tourism – brought Jeni and Olly to Motor Supply, where they explored S.C.’s culinary delights, with Chef Fulmer’s signature twists. A recent high point for Chef Fulmer was partnering with culinary historian David Shields on an event with Historic Columbia, featuring long-lost Midlands regional ingredients such as shad roe, once a staple in the Columbia, S.C., area. Noted Fulmer, for whom historic preservation is a passion, “It’s so important to shine a spotlight on the near-forgotten, heritage foods of our region and state." Browse Chef Fulmer's photo gallery here.